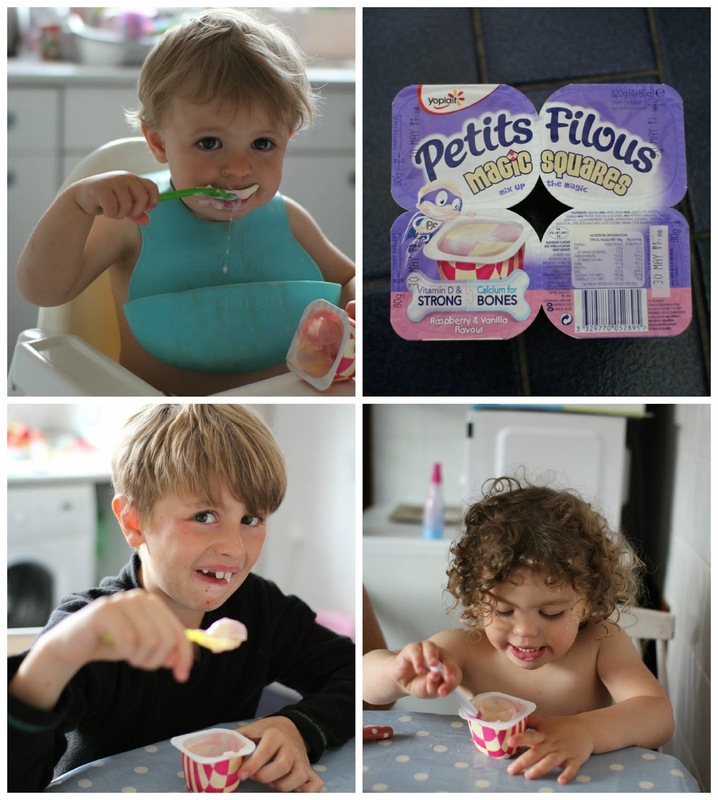 My little ones love yogurt and have it every day so when I got some Petits Filous Magic Squares they were over the moon. Ami was amazed that the yogurt was shaped like squares. She first tried to eat just the one side but had no joy and ended up mixing all the flavours together, where as the boys just ate the yogurt with no comments. After a early tea time we decided to mix up the usual watching tv till bedtime by being creative and getting the children to use their imaginations. 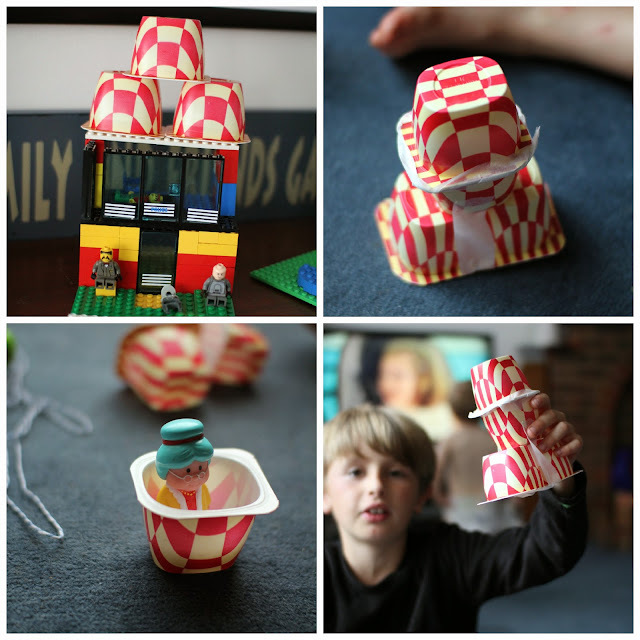 Many ideas where thrown into the mix, Ami wanted to make a princess castle and Son Son was confused to why there was no more yogurt in the pots. First Asti placed the pots on a lego house he had built but I said he had to put a bit more effort into it, where he had made his mind up to make a rocket and him and Ami both went of to find a little person to place in the rocket, Ami a happyland character and Asti he had iron man. I left Asti building the rocket and I had the job of stopping the toddlers stealing the tape from him. He stuck all the pots together in the shape of a rocket (to me it looked a little bit rude). 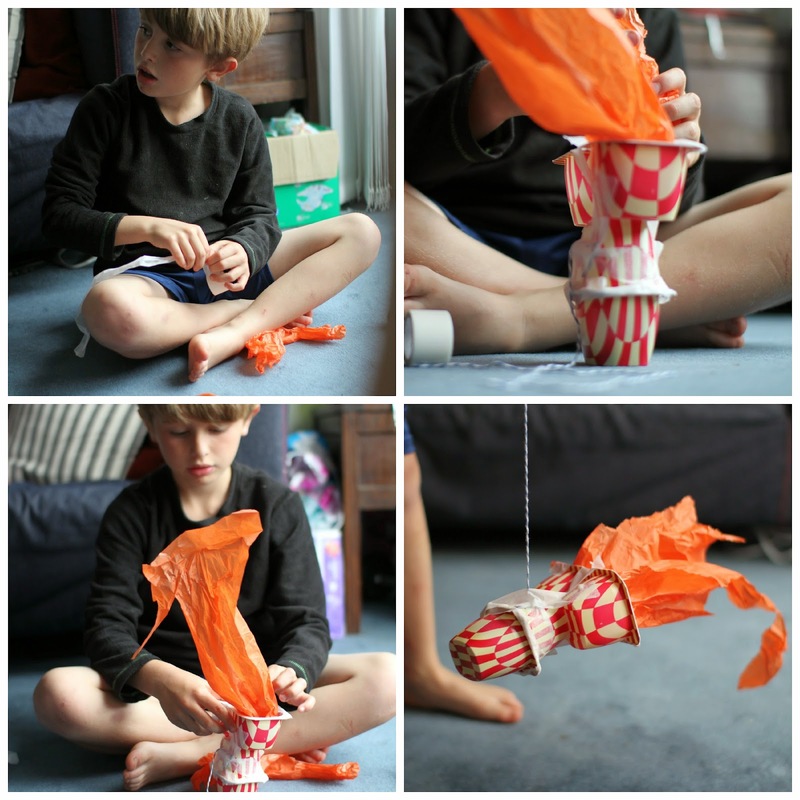 Thankfully I found some tissue paper and he stuck it in the rocket to look like fire. The magic came by us pretending the rocket was real and using our imaginations. Ami joined in by doing a count down to blast off. He then stuck some string on it and flew it around the front room. Actually didnt look to bad, I think because the yogurt pots host such wonderful design on the outside the rocket actually looked rather cool. You know what they say another mans junk is another mans treasure. We stuck it to the ceiling in Asti's Room soon to be knocked down when the toddlers can reach. A little something after dinner rather than watching the tv turned out to be a lot of fun. 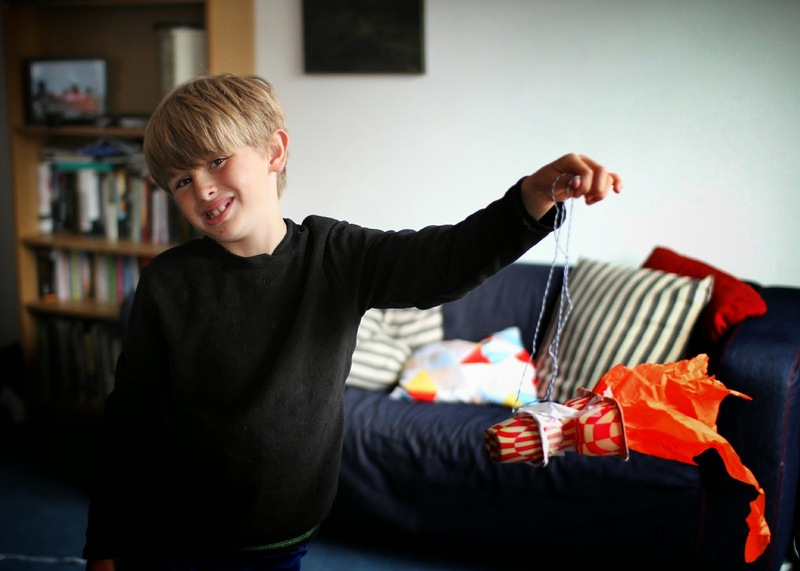 Its great to encourage your children to be creative and watch them make something out of nothing. Great yogurts and great fun always nice for a change. We should do junk building more often Asti loved it. Mixing up after dinner time proved to be more successful we shall deffo do it more often.